ARGE REALARCHITEKTUR and mostlikely won the EU-open Architecture-competition for “Neugestaltung des Schloss-Restaurant Cobenzl”. The Kurier.at writes about the EU-open Architecture-competition for “Neugestaltung des Schloss-Restaurant Cobenzl” which we won in cooperation mostlikely architecture. Examples of international and Austrian housing. Lecture and panel discussion in the Architekturzentrum Wien. 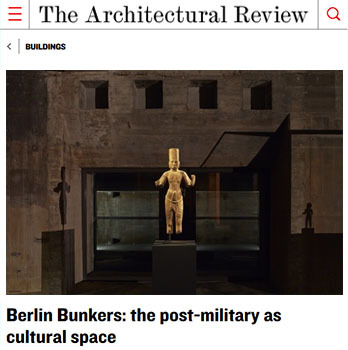 The conversion of a historic bunker for The Feuerle Collection was featured in the magazine Bauwelt, Issue 22.2016 – “Archivieren und ausstellen”. Chinese furniture and Southeast Asian art. In July 2015 we completed a rooftop apartment in Berlin – Prenzlauer Berg. Petra Petersson has been interviewed about the Boros Collection / Bunker Berlin. Our project on Kransbindarvägen in Hägersten is on site. The prefabricated concrete building has been completed. The first of seven villas in Sjövik has been completed. Nach einer schönen Zeit in der Schinckestrasse befindet sich das neue Büro von Realarchitektur am Paul-Lincke-Ufer 41, 10999 Berlin. After a great time at Schinckestrasse our office moved to Paul-Lincke-Ufer 41, 10999 Berlin. 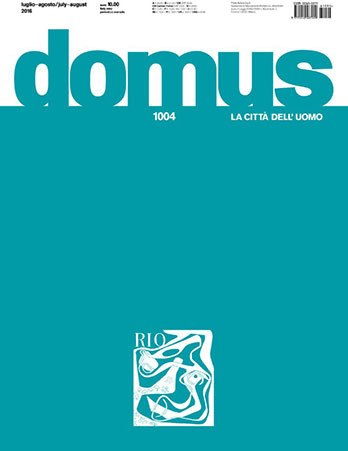 Der Umbau einer Wohnung in Neukölln (BoG) für Goro Tronsmo wurde im Magazin a+t, Ausgabe 42 – reclaim domestic actions 2, S. 70-71 publiziert. The conversion of an apartment in Berlin-Neukölln, that was awarded by “Architekturpreis Berlin 2013”, was published in the magazine a+t, issue 42 – reclaim domestic actions 2, p. 70-71. Petra Petersson etabliert neues Institut an der TU Graz. Sie leitet das neue Institut für Grundlagen der Konstruktion und des Entwerfens an der Fakultät für Architektur. Petra Petersson estalished new institute at the Technical University in Graz. She is the head of the new Institute for construction and design principles at the faculty for Architecture. Auszeichnung // award – Architekturpreis Berlin 2013 ! Der Umbau einer Wohnung in Neukölln (BoG) für Goro Tronsmo wurde vom Architekturpreis Berlin 2013 ausgezeichnet. Petra Petersson ist zur Professorin an der Technischen Universität in Graz berufen worden. Petra Petersson is appointed as a professor of Architecture at the Technical University in Graz. She is the head of the new Institute for construction and design principles at the faculty for Architecture. Our townhouse project on Kransbindarvägen in Hägersten is on site. The first part of the prefabricated concrete housing project will be completed soon. The first out 7 villas is on site. Publication: article and blog about the Architecture-Biennale in Venice in the swedish magasin arkitektur. Byggstart för 38 stadsradhus på Kransbindarvägen, Stockholm. We have designed a project with 38 townhouses in Stockholm. We nominated the Bauhaus Essentials, out of the fascinating and wonderful work produced by the students of the Bauhaus University Weimar. Out of these the GRAFE prize winners were selected and will be exhibited at the Preview Berlin. Many thanks to my fellow jurors and to the team from marke 6. Studio International BSB and AGORA 2012 – organised a workshop about and at the base sous marine in Bordeaux. Students from 5 universities presented their projects and we put forward ideas and discussed the future of the building with the city of Bordeaux represented by the mayor Allain Juppé. Petra was elected into the Architectural Committee for the city of Erfurt. Petra Petersson wurde in den Gestaltungsbeirat der Landeshauptstadt Erfurt berufen. Juryn för Träpriset är utsedd. The jury for the Swedish architecture Wood Award 2012 has been chosen. Wintersemester 2010/2011 Bauen im Bestand Petra Petersson und Prof. Michael Mann. Das Projekt Wohnhaus Sammlung Boros von REALARCHITEKTUR, Jens Casper, Petra Petersson, Andrew Strickland wurde für die Shortlist als ein von drei Projekten, für die Nike in der Kategorie beste atmosphärische Wirkung ausgewählt. Öppet hus i Midsommargården, Telefonplan 3, Hägersten. Planförslaget visas i FYRKANTEN i Tekniska Nämndhuset och i Hägersten-Liljeholmen. Realarchitektur has together with Stockholms townplanning department and the clients Familjebostäder and Besqab developed a masterplan for a housing project on Kransbindarvägen that will be now be exhibited. Für das Projekt Wohnhaus Sammlung Boros hat REALARCHITEKTUR, Jens Casper, Petra Petersson, Andrew Strickland und der Bauherr Christian Boros eine Auszeichnung erhalten. Realarchitektur recieved an honorary mention from the Berlin Architecture Award 2009 for the Boros collection and residence. REALARCHITEKTUR, Jens Casper, Petra Petersson, Andrew Strickland und der Bauherr Christian Boros wurden für das Projekt Wohnhaus Sammlung Boros mit dem BDA-PREIS BERLIN 2009 ausgezeichnet. Realarchitektur recieved the Berlin Architecture Award “BDA Preis 2009” for the Boros collection and residence. Für den Neubau eines Einfamilienhauses in Oldenburg wurde Realarchitektur Jens Casper, Petra Petersson mit Sören Hanft und die Bauherren Dr. Anke Hanft und Dr. Siegfried Grubitzsch mit dem BDA Preis Niedersachsen ausgezeichnet. Ein Buch von Christian Boros zu der aktuellen Ausstellung in der Sammlung Boros mit Texten von der Kuratorin der Sammlung Anette Schryen und Fotos von Noshe ist in der Sammlung erhältlich. The conversion of a villa in Djursholm, Stockholm by Realarchitektur is nearly completed. The design concentrates mainly on creating new spaces within the existing shell using found architectural elements in combination with new. Podiumsgespräch und Buchpräsentation “Skandinavische Architektur” mit dem Autor Thomas Steinfeld (Feuilleton Süddeutsche Zeitung), den Architektinnen Petra Petersson (Realarchitektur) und Heike Hanada (laboratory of art and architecture) sowie dem freien Journalisten Jürgen Tietz. »INTERCITY BERLIN-PRAHA« ist ein auf zehn Jahre angelegter Dialog zwischen jungen Künstlern verschiedener Disziplinen aus Prag und Berlin. Der fünfte Jahrgang der Reihe ist der Architektur gewidmet… INTERCITY BERLIN-PRAHA zeigt aus Berlin Projekte von Magma Architecture,Plus 4930 Architektur, Raumlabor, Realities:United, Realarchitektur, Robertneun, Wilk-Salinas Architekten sowie Zanderroth Architekten und aus Prag von A69, Atelier K2, 4A, HS, CHAA-Chalupa architekti, KSA, OK Plan sowie Sporadical. Petra Petersson is a member of the swedish Jury for the Europan 10. The swedish Sites are located in Mora, Österhammar, Lerum and Kisa. The themes are regeneration and revitalization. Das Projekt Wohnhaus Sammlung Boros ist als Preisträger in der Buchpublikation zum Architekturpreis Beton 2008 veröffentlicht. Wie baut man heute? Und wie baut man heute mit Beton? The Project Wohnhaus/Sammlung Boros (Umbau eines Hochbunkers) is amongst the 24 buildings short-listed by a jury of experts for the DAM Annual and for the exhibition at the German Architecture museum in Frankfurt. The collection Boros published in an article by Christina Fritzenwallner. für das Wohnhaus Sammlung Boros ausgezeichnet worden. Die Sammlung Boros ist in dem von Realarchitektur, Jens Casper, Petra Petersson und Andrew Strickland geplanten um und Ausbau des Bunkers eingezogen. Im Juni wird der Bunker in der Reinhardstrasse offiziell eröffnet. Danach finden jeweils nach Anmeldung samstags und sonntags ab 11 Uhr Führungen statt. The Preview of the Bunker in Berlin was held on the 5th of April. Christian Boros showed chosen works out of his Art collection. The Bunker was extended and converted by Realarchitektur (Jens casper, Petra Petersson, Andrew Strickland). In June the Private Museum will be officially opened and after that guided tours can be booked. Hanns Joosten had the opportunity to take new photos of the converted building. Agrippinawerft 28, Rheinauhafen, 50678 Köln. Honorary Mention in urban design competition Flottilijen, Järfälla (Stockholm), Sweden. Juryn för Träpriset 2008 är utsedd. Realarchitektur. Lehrgebäude 2C, Juri Gagarin Strasse, Cottbus, 19:00 Uhr.